Just when you’ve had the July 31 MLB trade deadline hammered into your head, you discover the dealing is not done yet. With the non-waiver trading period expired, front offices turn to the waiver wire to find help from August 1 through August 31. It just gets a bit more complicated. We’ll start trying to explain how the process works, with as few excruciating details as possible. First, a team places a player on waivers. They may put up anyone from a tenured, essential player to the creaky, overpaid 25th man on the roster. Without a claim on that player by a team, GMs can trade him to any of the other 29 MLB teams. If one team claims the player, only that team has a chance to acquire the player. When multiple teams claim a player, the team with the worst record is the only one that can make the trade. That part is tricky enough, but it gets trickier because a club may pull the player back if there was no intention to trade him or the deal doesn’t make sense. Teams may only do this once per player, so placing him back on waivers before August 31 is risky. Teams may also dump a player with a high salary on the waiver wire for a small price — in effect, selling him — but that makes the claiming team responsible for the rest of that player’s contract. Bottom line, there are many deals still on the table and many valuable players expected to change teams by August 31. In the past, elite players like Larry Walker, Josh Beckett, and Adrian Gonzalez changed clubs in waiver-wire deals. Here are five star MLB players still available that can help teams for the stretch run in 2015. 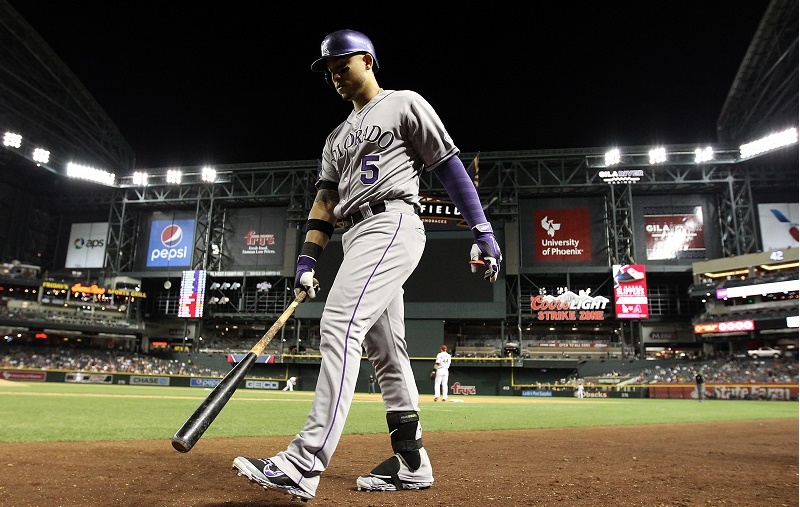 With Tulo out of the picture, all eyes are on Colorado’s Carlos Gonzalez this waiver period. In addition to what’s left of his 2015 salary, he’s owed $37 million over the next two seasons, so CarGo is an expensive proposition for any team now that he’s above-average but not great (21 HR, .863 OPS in 97 games). 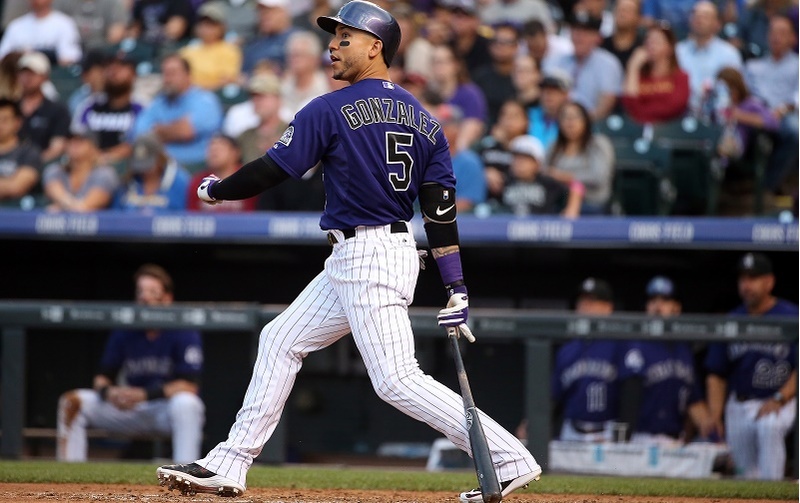 Fortunately for Rockies management, CarGo has been on fire in his last 20 games with 10 HR, a .427 BA, and obscene 1.408 OPS to his credit. Sure, his road splits are not on par with his Coors Field slugging, but teams desperate for a bat will take a long look at him before August comes to a close. You could argue the Red Sox are in the same position they were in with the contracts of Carl Crawford, Josh Beckett, and Adrian Gonzalez clogging up their books back in 2012. Boston spent huge money on offense this past offseason, committing $183 million to Hanley Ramirez and Pablo Sandoval, but it hasn’t translated into wins for a team in last place in the AL East along with the third-highest payroll in the game. The Dodgers bailed out Red Sox ownership in 2012, and we imagine the front office is praying there’s another desperate club out there this waiver period to take on an albatross contract like Ramirez’s. Despite HanRam’s strong season at the plate, his horrendous defense has negated his offensive contribution, making him the ideal candidate for DH duties on an AL team. 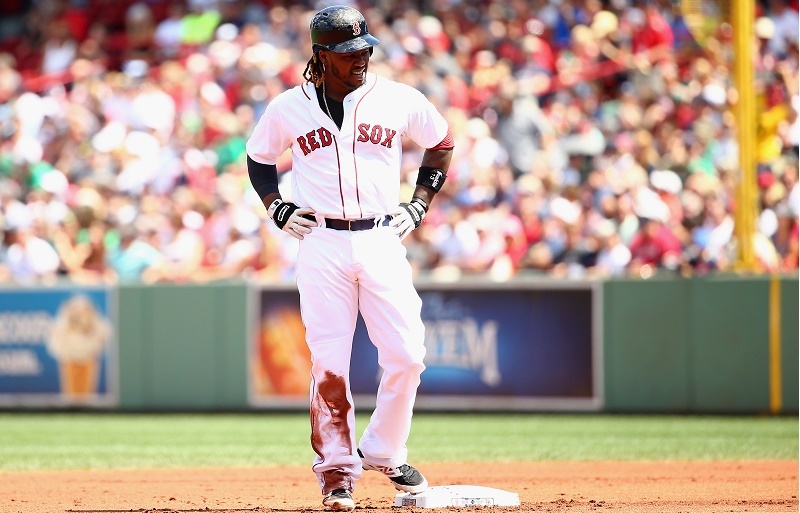 Red Sox management miscalculated Ramirez’s ability to adapt to left field on the fly and, with David Ortiz in the DH role for the foreseeable future, they have nowhere to put Hanley. Paying some of Ramirez’s salary may be mandatory for a trade to go down, but there are many clubs around that could use such a potent bat. Will they be willing to accept Hanley’s baggage, too? 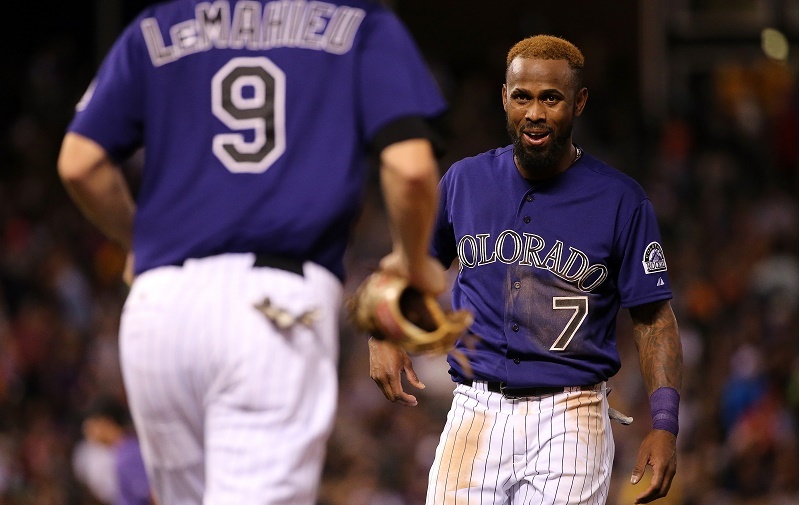 He may not have the legs and power he did in his peak years, but Jose Reyes is still a force at the plate, on the bases, and in the field when healthy. After arriving in Colorado as part of the Troy Tulowitzki trade, Reyes is also expendable (and expensive) for a team that is finally, officially rebuilding. He is owed $44 million over the next two years, but if the Rockies are willing to take a bite out of that salary there are viable landing spots for former Blue Jay, Marlin, and Met in August. 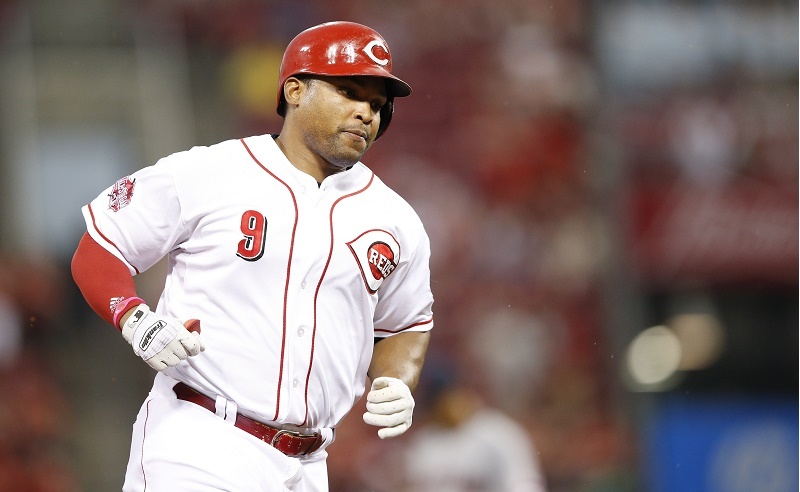 The bad news about Marlon Byrd is he’ll be 38 at the end of this waiver period. The good news is he’s clubbed 18 HR and is slugging .480 in a half season of work for Cincinnati. (He hit 25 HR in 2014 and 24 HR in 2013.) Looking ahead, Byrd would be owed $8 million next year if he hits 550 plate appearances this season, which is possible. All in all, he’s a no-brainer for any team looking for right-handed pop in a corner outfielder. Is it silly to call him a star? It depends on your definition. We would say around 25 HR a year for $8 million in salary makes him a star off the bench. If he played in New York and got the sort of publicity Raul Ibanez did a few years back playing part-time for the Yankees, there would be no question about Byrd’s star power. 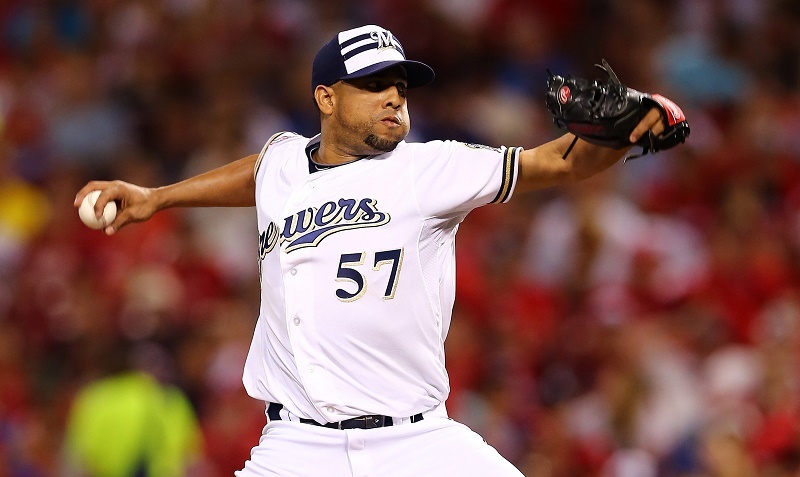 Of the coveted relievers on the market, we expected Frankie Rodriguez to be one of the closers headed to a new team before the non-waiver deadline passed, but unlike Carlos Gomez, K-Rod was still a Brewer when the smoke cleared. Teams out of contention still have to keep quality players to keep fans coming to the games, but we have to believe Milwaukee could get an offer it can’t refuse for a closer having a spectacular year (1.46 ERA, 23 SV). K-Rod is owed $5.5 million in 2015 and has a $6 million option for 2016 with a $4 million buyout. Money should not be a holdup. Stats, current as of August 4, were sourced at Baseball Reference.